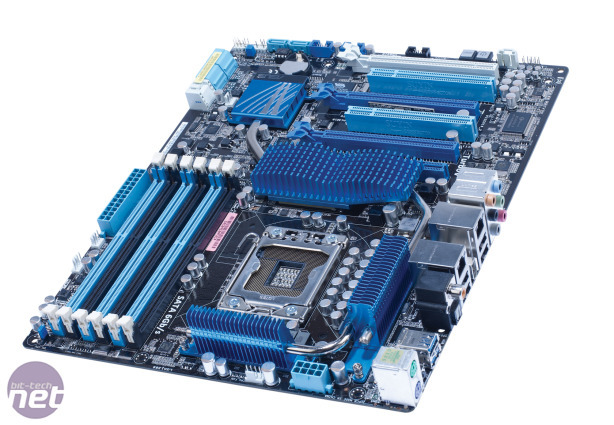 The P6X58D Premium is the latest addition to the growing army of Asus LGA1366 motherboards, which now numbers 11 models (this is actually the 10th; since its release, Asus has added the Rampage III Extreme). 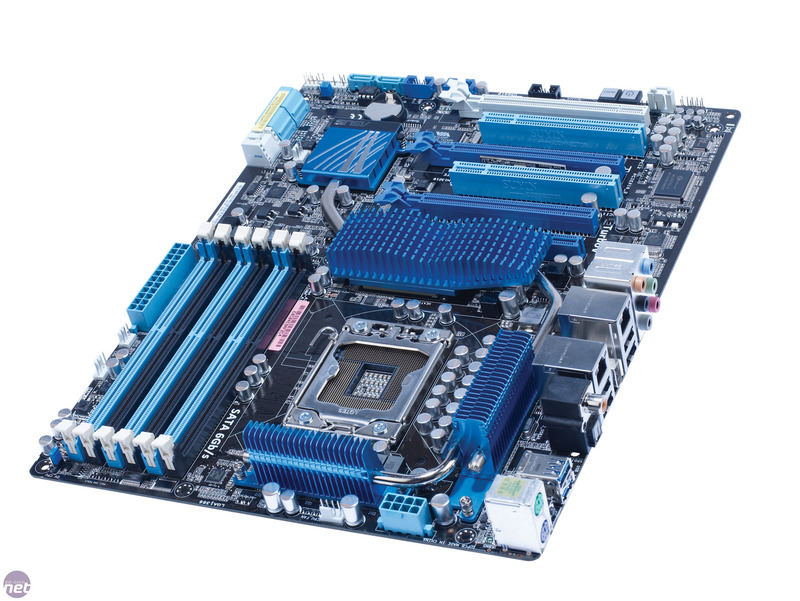 While this is the first Asus LGA1366 motherboard to sport the Premium moniker, its ancestry can clearly be traced back to the earlier Deluxe-branded models. For example, the P6X58D Premium has the same three 16x PCI-E slot layout as the P6TD Deluxe. The slots even run at the same speed, so while the first slot (the blue one nearest the CPU socket) always has 16 lanes, the second blue slot has either 16 lanes if no third card is installed or eight lanes with a third card. Meanwhile, the third slot (white) can have either eight lanes or a single lane. While eight lanes should be sufficient for gaming graphics, one lane is definitely not. Unlike the earlier P6TD Deluxe, the P6X58D Premium is actually certified for 3-way SLI, although you’d be better off buying a single powerful graphics card rather than three mid-range cards. It also has two PCI slots, plus a single 1x PCI-E slot tucked away next to the chipset heatsink. As well as its six RAID-capable SATA 3Gbps ports powered by the ICH10R Southbridge, the P6X58D Premium is the first Asus LGA1366 motherboard to support SATA 6Gbps. Two of these ports are provided by a tiny Marvell 9123 controller next to the Southbridge. Six of the eight SATA ports are mounted parallel with the PCB for neat cabling, but two of the SATA 3Gbps ports stand proud of the PCB, although they’re at least positioned at the edge of the motherboard. The Southbridge, chipset and VRMs are cooled by low-profile blue-anodised heatsinks linked by silver-coloured heatpipes. This is a very pleasing colour combination, although from a distance, it makes the P6X58D Premium look like a Gigabyte motherboard rather than an Asus model. Continuing the future-proofing, Asus has also mounted an NEC USB 3 controller on the P6X58D Premium that provides two USB 3 ports on the rear I/O panel. It also has plenty of the USB 2 ports – eight to be precise – plus a pair of FireWire ports. The only downside to all these additional controllers is the long time that the P6X58D Premium takes to boot, especially if you don’t disable the incredibly annoying Express Gate Linux based operating system.